How about a Thor themed cosplay! Hela is going to be the main villain in the upcoming Thor Ragnarok where she will be played by actress Cate Blanchett. The feared Norse Queen of the dead will be the most powerful villain that Thor has faced so far. I think she has great potential to be a hit on the big screen. Belle Chere had this cosplay at Denver Comic Con as the Asgardian goddess of death Hela. I think she knocked it out of the park. She immediately caught my eye walking around there. I was like who on Earth is that. It was a cool character choice and extremely well done. She also did this before the character was announced as the main villain in Thor Ragnarok which I think makes it even cooler. 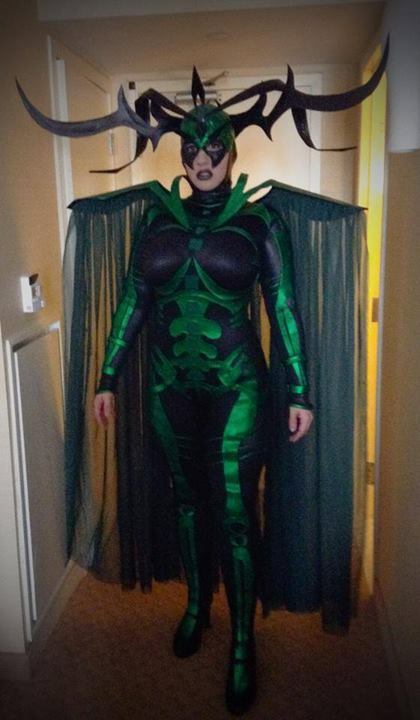 I think what really makes the cosplay is getting those body green details and of course the massive Hela headdress. Photographs below by Nerd Caliber. Want to know more about Hela? Learn more about Hela HERE! Thor Ragnarok Official Page - News, Trailers, n' MORE! Thor is Marvel hero pulled out of Norse Mythology. The Marvel Thor is very similar to his folklore countpart but in Marvel he interacts with super heroes. 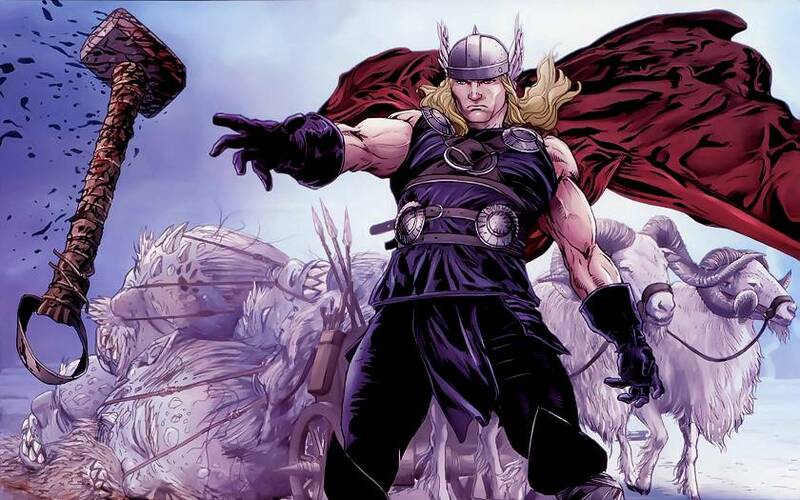 Thor also brings parts of his mythology to the Marvel Universe such as his home Asgard, father Odin, and villainous brother Loki. While in folklore terms Thor is considered a god, in Marvel he tends to be depicted more as an inter-dimensional alien with great powers. For more sizzling Thor reviews, trailers and comic stories see..